Delia "Queenie" Abila, age 66, of Holland, passed away, Monday January 14, 2019. She was born in Alice, Texas on June, 23, 1952, to Julian & Francisca Vasquez. Queenie was employed by Life Savers for many years and was also a long time member of St. Francis de Sales Church. Mrs. Abila enjoyed spending time with her family, dancing, cooking and playing pool. She was a devoted mother, loving grandmother, cherished sister and a friend to many. 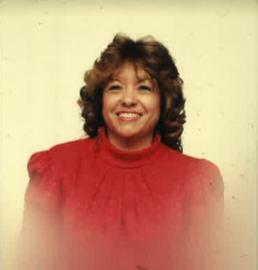 Queenie is survived by her sons, Christopher Parish, Jessie Rodriguez and Ricardo Rodriguez; grandchildren, Cristal & Brittany; siblings, Lydia (Arnold) Villagran of Holland, Marie Anne (Ed) Mussen of California, Elida Tellez Hager of Florida and Zenaida (Wayne) Johnson of North Muskegon and stepfather, Luis Ramirez. Visitation will be from 2-4:00pm, Tuesday, January 22, at the Dykstra Funeral Home - Mulder Chapel, 188 West 32nd Street, Holland. A funeral ceremony will be held following the Visitation at 4:00pm, at the Mulder Chapel. Father Charlie Brown officiating. Professional services entrusted to the Mulder Chapel.